Blog from Waitomo to Taupo, New Zealand | Gemma goes global! Next destination, Waitomo. Main attraction here, worms that glow! bringing back all sorts of memories of holding glowworms too close to light bulbs as a child! Decided to do the black water rafting into the cave to pay them a visit (not as drastic as it sounds!). After being kitted out in the necessary beautiful outfit and helmets, a group of us and the comedian tour guides set off to the caves. First things first, the very technical process of choosing the rubber ring that will save your arse (literally) in the cave, bend over, ram your arse through it! If you fall throught, too big, if you get wedged to small etc. Then you have to do a practice jump into a nearby stream, of ice cold fresh water. Attach ring to back side, turn around and jump off platform backwards. Voila! The you head to the caves. . . . The caves are small in height, dark and cold, but filled with worms, and the occasional eel in the water. The journay is a mixture of hobbling throught the water in the direction of th current, to floating on the ring in deeper waters. A couple of times you have to do the jump backwards off a waterfall, into the dark to get the next area, very interesting concept! When we reach an area with glowworms, you turn you helmet torches off and gaze upwards, really fascinating and stunning to see them all just hanging there. Then after the glowworms I headed to the next town of Taupo. The main event here, sky diving! Oh yeah, the time has come! And as my dad rightly said, " Why would you jump out of a working pane at 15,00ft?". And quite honestly i really dont know, but apparently its really good fun! So why the hell not! So got the call in the morning to say the weather was good for the jump, and the pick up was on the way. This was at 8am, I was barely awake, let alone ready to jump out of a plane, but what the heck! The when you get there, they show you DVD's of what you are about to entail, probably not such a good idea in some cases! Then you get allocated your instructor you will jump with you, always helpful I find. I also opted to have a camera woman to jump with me to capture the moment on DVD and take photos. So there the 3 of us were, got to trott. dont remember being that nervous about it, a lot of nervous laughter was in the air though! Then you take the walk to the plane, and climb onto the benches that run down the pane, with your back to the pilot. And away you go. . . .
We had to drop a couple of people off at 12,000ft, literaly. Hilarious, open the door, jump/push them out and shut the door and carry on! I do remember asking are we nearly there yet at 5,000ft s was incredibly high, the answer, only another 10,000 to go! Good lord waht was i thinking when i said i would do this. Then as the saying goes, first on, last off. That was me, last off, so had to watch everyone else scream and shout as they catapult themselves out of the plane. The my turn. The instructor attached to your back, literally pushes you toward the open door, absolutley no time for hesitation, and plop, you are over the edge, the worst part is done! Now came the time to enjoy it for every second that you have, 60 to be precise. You intially are dropping towards the ground at the speed of light. Then the fun and games begin. If you hold onto the camera woman by the hand you spin round in big circles, needless to say about the comedy mouth and cheek movements that happen. Doing my best to smile on the way down, actually had the biggest grin in the world on, been waiting to do this a lifetime, and as you are free falling you realise you are actually doing it! After my various mid air poses, the parachute gets pulled at 5,000ft, when you shoot back up, and then beginm to float down. This was one of my most favourite things by far, just floating through the clouds and sky like a bird, with the most stuning views of Lake Taupo. Twisting and turning all the way, till you are ready to land and run round the field shouting " I've done it! ". 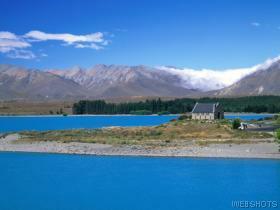 So another dreamed fulfilled in this amazing country, where next South Island.